Our Student Voices Corner brings useful insights to both prospective students and parents helping them make informed decisions on but not limited to study route choices, career pathway decisions, money matters and a lot more! Always check in with us for updates, interviews, achievements and discussions with our students. Our first posts will be featuring what Emma calls a ‘Backlash Blog’ as she interviews students at some of the Study Centers we work with in the UK, The USA and Canada. Promises to be informative and exciting as Dupe, Fumnanya, Abiola and Emma herself gives us insights into their choices of universities, money matters and much more. 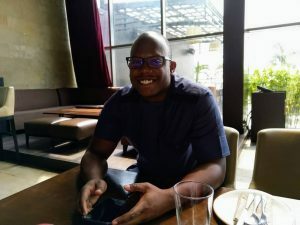 Let’s dig in with Dupe’s interesting interview with Emma on Durham University Uk and please do get in touch if you are interested in progressing to any of the Study Centers Dupe talked about. We work with the two institutions she attended and can help out with your admission processes. INTERVIEW WITH DUPE: she attended the CATS foundation school in Canterbury and progressed to an undergraduate degree at Durham University. 1. Why did you choose your university? 2. What do you want prospective undergraduates to know? Dupe: First, choose a university that will be good for you personally, the environment that suits you and appeals to you and when all the stress of your degree weighs in on you, you are able to get peace out of the environment. Second, you have an endless list of degree choices in a university; I discovered last year that my university offered courses such as ‘Chinese Cinema’, where you just watch Chinese movies and write reviews and a ‘Beauty and the Beast’ module where you write art reviews based on that era. Always do proper research, think deeply about what you want, your interests before choosing a degree because when you begin difficult work you don’t want to start feeling regret on top of all of that. Finally, it is a lot of work and anxiety, but you will always get pass it and succeed. 3. What do you wish you knew before making choices for your career? Dupe: I wish I thought deeply before I decided to pursue my degree as a whole. I am happy with my degree now and I really enjoy the work I do, I am really excited to pursue a career in law, but I wish I knew that there were other options readily available for me. “I thought let me do law, I really do not see anything else.” If I were to start university again, I would do Chinese, as a degree, which would include the language module, the cinema and the culture modules as well, spend a year abroad in china immersing myself in the culture, finish my degree at Durham, then do a GDL to convert my Chinese degree to a Law degree. I wish I knew that I had that option before I made career choices. Still, I have made the best of my circumstances and I still take Mandarin classes as part of my law degree, and I watch Chinese movies on my own and review in my head so it’s the best of both worlds actually. I am glad where I am now, but I feel like I would have chosen differently if I had to start again. 4. How do you cope with the stress of university? Dupe: I block out all the anxiety. University is very good at making an incredibly smart student feel below average, so what I do is to block out any source of anxiety, if it’s the law group chat or a WhatsApp group chat, I mute It or remove myself. I also try to remain on top of work, that’s another thing that will cause me to feel serious stress. I try to study before classes, make notes and also study after classes. Feeling on top of my work and finishing essays before deadlines keeps my stress in check. Prayer most importantly, it’s a good way to let it all out to God. Sometimes just admitting you are stressed and telling God to help you release it. And lastly, I take walks, I am lucky to live in such a small city like Durham and so crime rates are really low, anytime I feel stressed, I can just talk a walk down the riverside sit and just breathe. Surround yourself with people that will not stress you. I live with 5 other girls and they are amazing, they are fun, relaxed and yet so hardworking. We take time out to cook, eat and watch movies together which is a great stress reliever. 5. What are your tips for managing finances at university? Not the best person because I always end up overdoing it, spending all my money and running back to my dad for more. I’d say open a savings account. Allocate your spending for each month, make plans for how much you will spend on food, miscellaneous things, nights out etc. I always withdraw money and keep it in my wallet too, having the cash in hand prevents me from spending so easily and that’s because Durham Is so small, we have no malls and we have some shops, so I am not easily tempted. I would say being disciplined also goes a long way as well. Control yourself tbh. 6. What is the uniqueness of your university? Durham is the same as other universities. Its filled with anxiety, filled with students in the north, everyone trying to survive, be on top of academic work and still have a life outside school. We do 6 modules every year, unlike many universities I know and do exams only once a year in June. 7. What are your plans after graduation? I need a break for a year, to just relax. I need to take time out to work in China for at least 7 months to solidify my Mandarin. I have been applying to internships in Law firms in the UK that will eventually get me a graduate job, but I plan on asking for a gap year before starting. I need to rest from academic work and careers. I am really young and will finish university at a young age, I don’t want to jump right into it. I want to have time to see other things to. Upon graduation, after I secure a graduate job, I will take the year off to go to Asia, do some volunteer work, travel, take pictures, eat, come back to Nigeria, do some volunteer work here too. And just see other places. At the end of my gap year, return to the UK and start my career. Well, if it’s God’s will anyway. Dupe really captured the essence of preparation before Uni and while in Uni. This is a very nice Idea Nneka. Most of our children just want to go to school but I must say after sending 2 to the UK and one now in the U.S. we need to really prepare the minds of our children for the hard work and the general life style Change schooling abroad brings.